Seemingly on a quest to prove that they have more fun than you do, ¡MAYDAY! 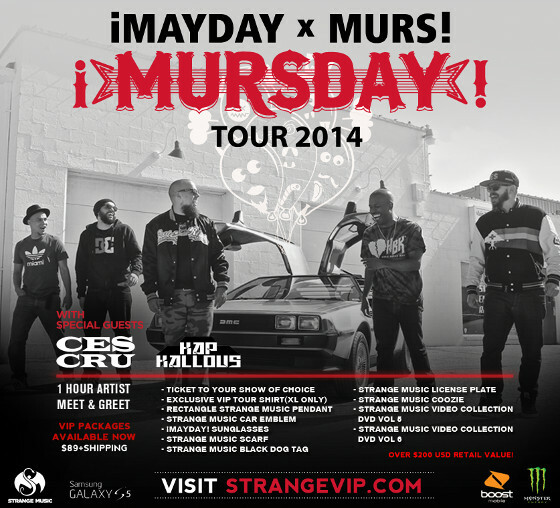 and MURS release another music video from ¡MURSDAY!, “Beast Out The Box”. This tour-de-force of a track gets a fitting visual complete with B-Boy moves galore to go with the uptempo track from the ¡MURSDAY! album. Watch it. We dare you not to move.